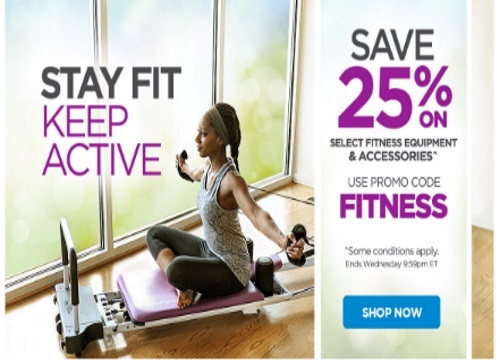 The Shopping Channel is having a Flash Sale today and is offering 25% off select fitness equipment and accessories! Enter the promo code FITNESS at checkout. Offer ends June 8 2016 at 9:59pm ET.